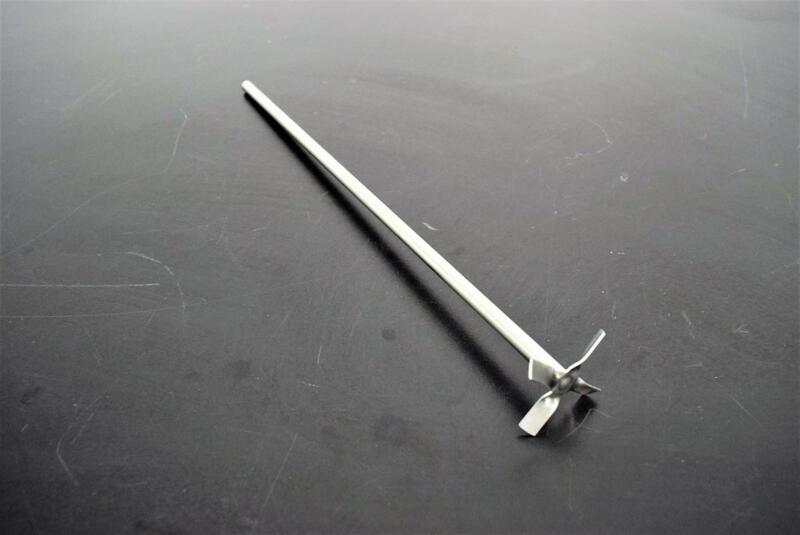 Laboratory Propeller Paddle for Homogenizer Stainless Steel 14"L x 2"W 4-Blade . New Life Scientific, Inc. This propeller paddle is in excellent cosmetic condition. It’s made with durable stainless steel for years of use. The shaft with the paddle is 14 inches in length x 2-inch width paddle. The diameter of the shaft is 0.8mm (approx 3/8”). This is a 4-Blade propeller paddle.